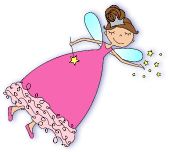 The tooth fairy is a fantasy figure in folklore stating that when children lose their baby teeth, they should place it underneath their pillow (or in their tooth fairy pillow pocket :)) and the fairy will visit them while they sleep. The good fairy will replace the lost tooth with something like a bit of money or a small trinket. This tradition is practiced in various countries. There have been references found as far back as 1908 to the tooth fairy. HOW MUCH MONEY DOES THE TOOTH FAIRY LEAVE? It actually depends on the on several factors, including the family’s economic status and amounts the child’s peers report receiving for their teeth. In a 2013 survey by Visa Inc., it was found that children receive an average of $3.70 per tooth. This information was adapted from wikipedia.org.